November--A lot to be grateful for! 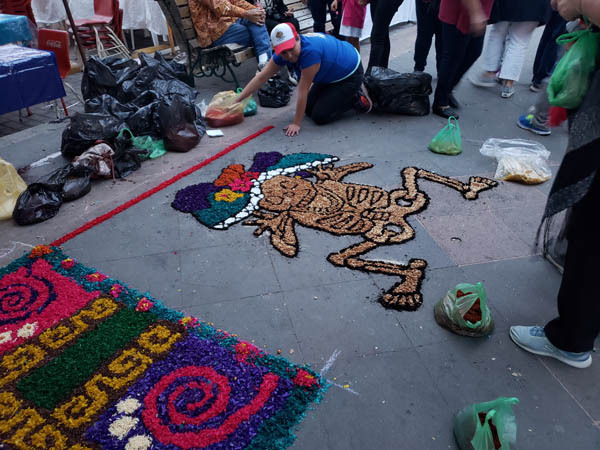 We arrived in Ajijic in time for the Day of Dead celebration and another season of sun and fun. While Mexicans seem to be on a perpetual fiesta, they do squeeze in time for some international holidays, including American Thanksgiving. Home Sweet Home. We arrived back in Ajijic to find our home in great condition after setting empty for six months. 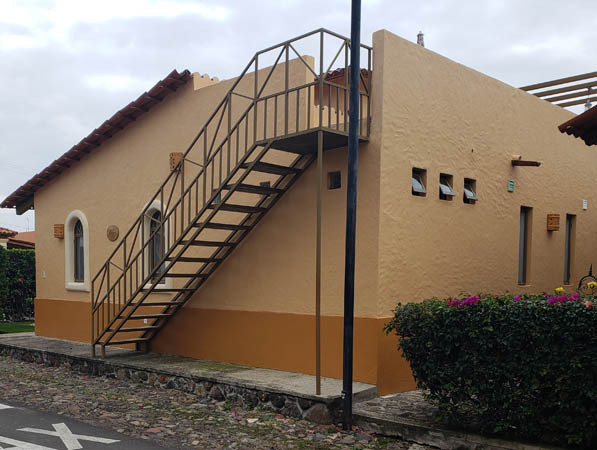 Here is a view of the stairway to our roof top patio (Mirador) where we hosted our first block party. 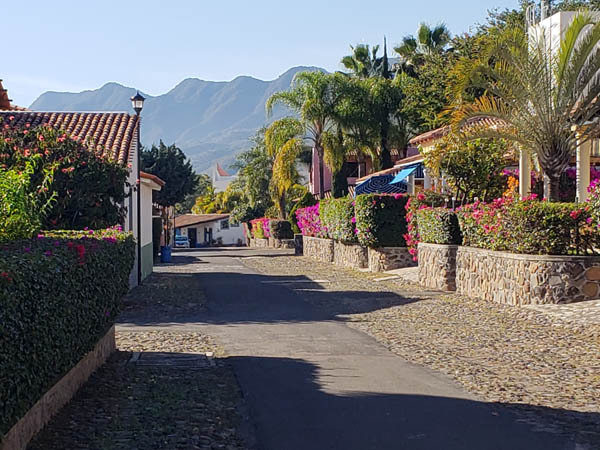 This is the view of the street on the north side of our home that leads to the club house, pool and hot tub and where we enjoy the fitness center and Tai Chi classes three time each week. 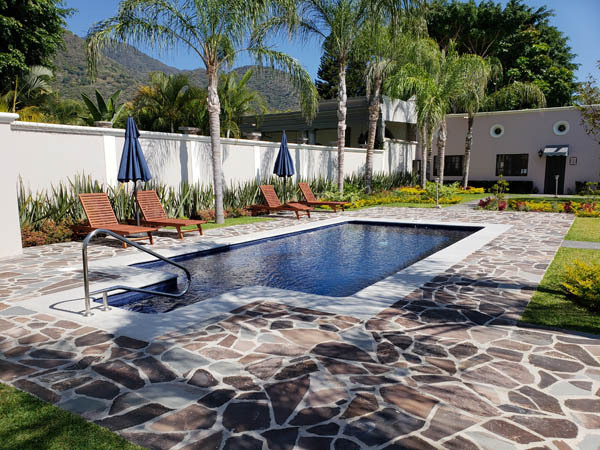 This past summer, the pool and hot tub area went through a major renovation with new stonework and tile laid throughout the complex. What a great job they did! 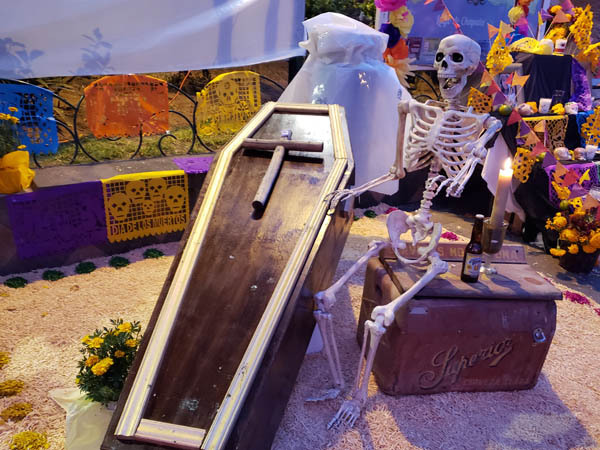 The Day of the Dead is a three-day holiday celebrated throughout Mexico. It is a time for families to gather and remember family and friends who have died. The Plaza of Ajijic was lined with temporary family memorials. 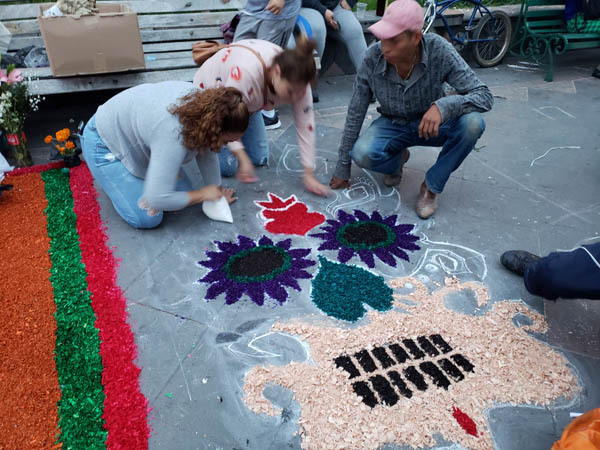 Here a family has designed an intricate pattern of flower pedals in honor of family members. 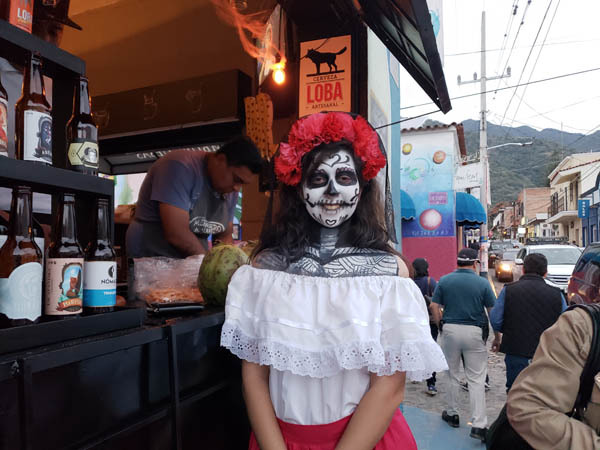 In 2008, UNESCO listed the Day of the Dead tradition as "Cultural Heritage of Humanity and an Intangible Treasure of Humankind." La Catrina Dolls have become symbolic of the Day of the Dead. This image painted on this girl was designed by Diego Rivera a famous Mexican artist. Our 2005 Honda sprung a leak during the summer rainy season. 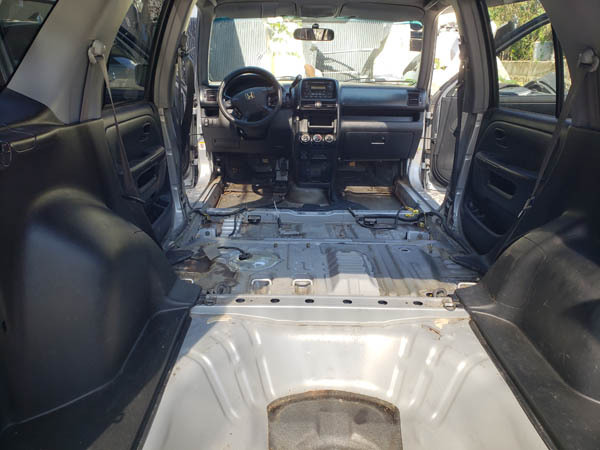 The detailers removed the seats and carpet to make sure they got rid of any mole or mildew. 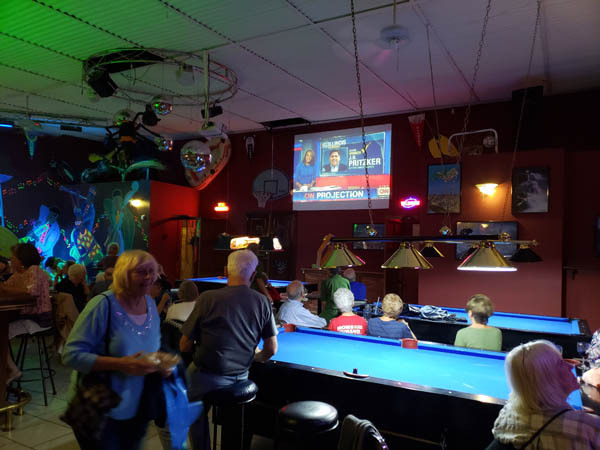 We spent election night at a local pub to watch the mid-term results. 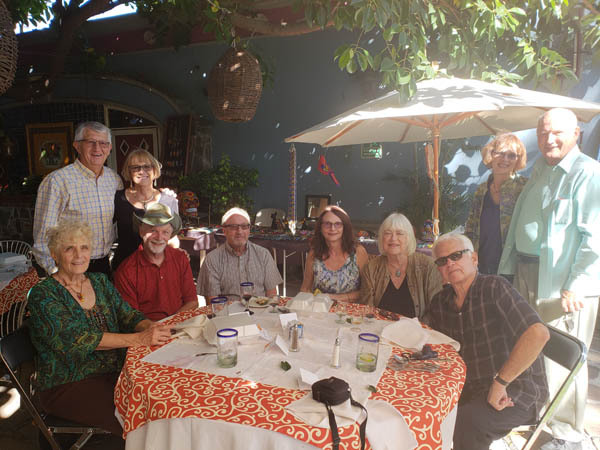 The Democrats Abroad sponsored the event with Tequila and munchies. Exercise is a requirement for a healthy life style. 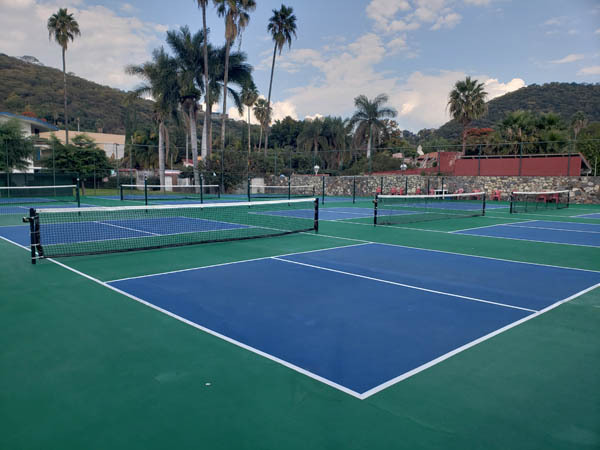 So in addition to time in the gym and Tai Chi, we have included biking, hiking and Pickle Ball into our routine. 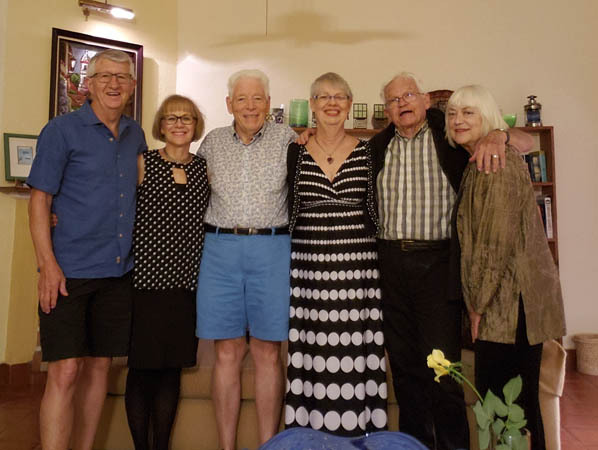 Friends Brian and Marilyn invited us to help celebrate their 49th wedding anniversary. 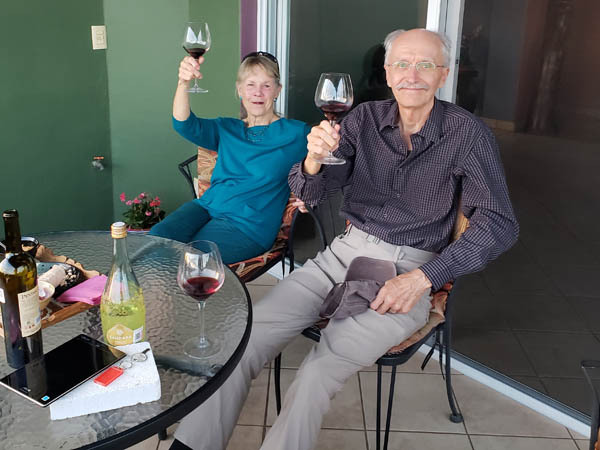 In December, we and friends Chuck and Jean will be celebrating our 50th! 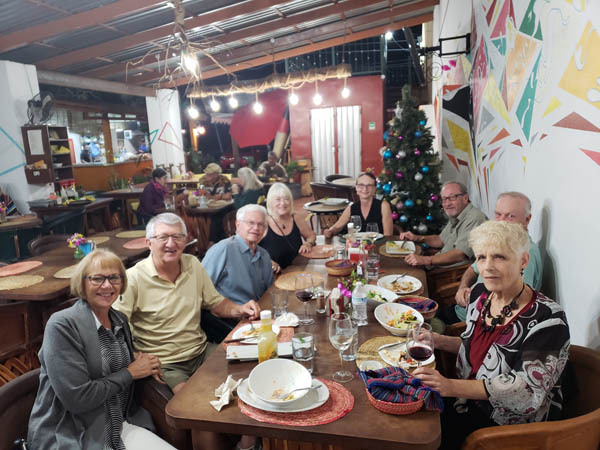 Yes, eating and drinking are pretty much all we do here in Ajijic. 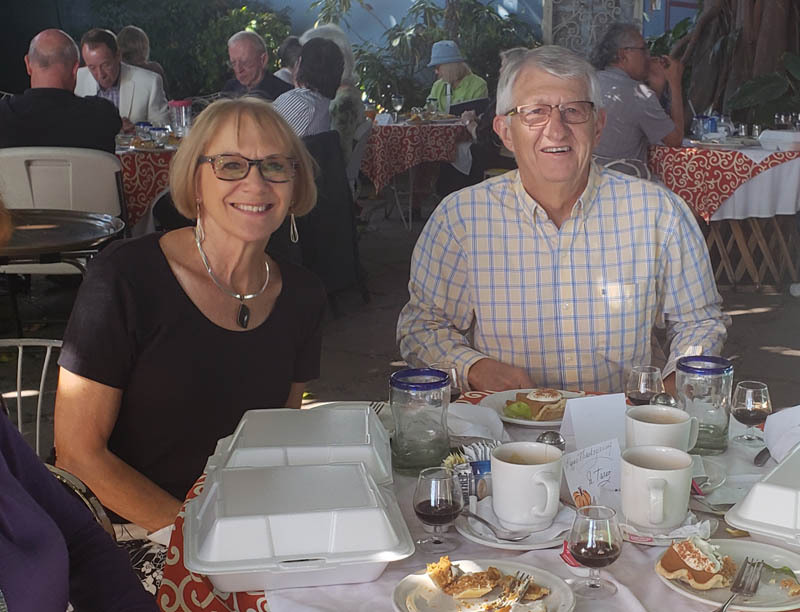 Here we are joined with friends for brunch following a stimulating presentation at Open Circle. The Behind the Walls Home Tour is a monthly event, where people open up their "extravagant" homes for 250 pesos per person. The money goes to help needy children. 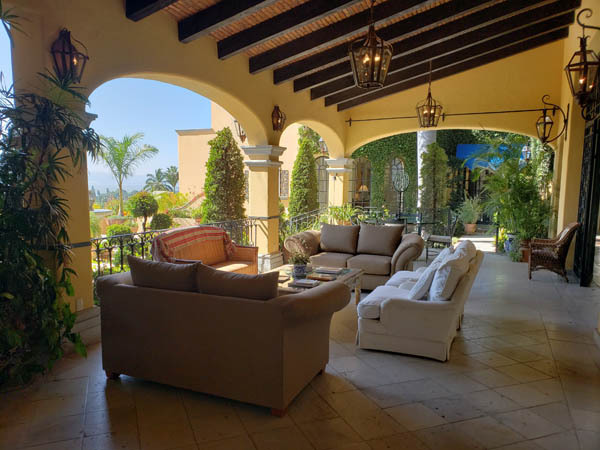 Ajijic lends itself well to outdoor living. 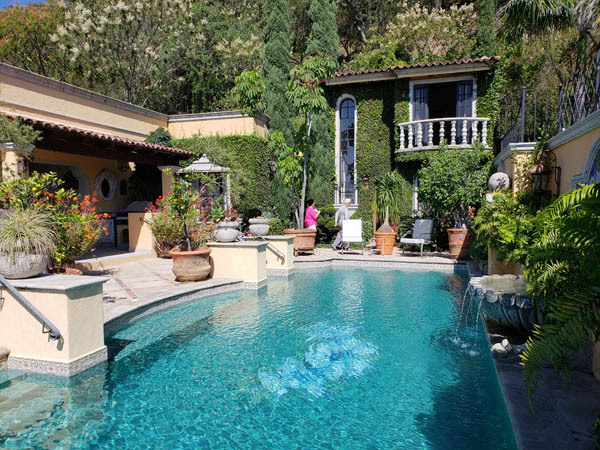 Private pools and hot tubs are not uncommon for the homes on the tour. This particular home is said to be owned by a gentlemen who has eight other homes located around the world. 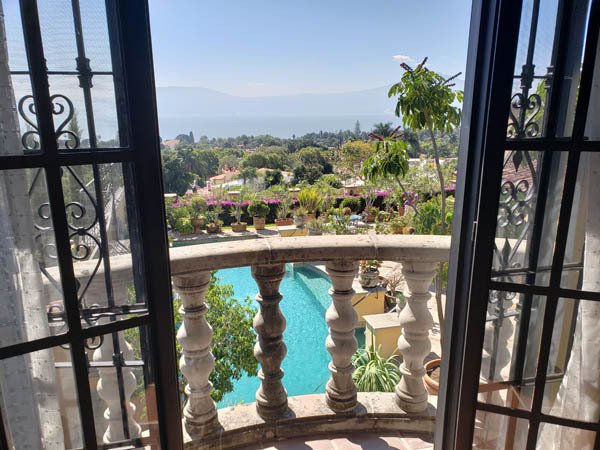 Most of the homes on the tour are built in the foothills of the Sierra Madres overlooking Lake Chapala. Two of the four homes were for sale. Anyone interested? 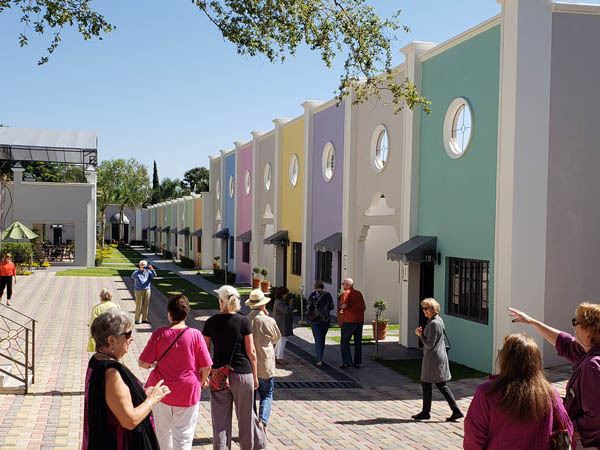 This tour was unique in that it showed an independent living community with about 20 rental units. Most are one-bedroom units and come with two meals per day. In addition to a fitness and community center, this development has a heated pool designed to keep the residents younger. Friends Todd and Susan returned to Ajijic after spending the past four years volunteering at National Parks throughout the USA. We missed them. 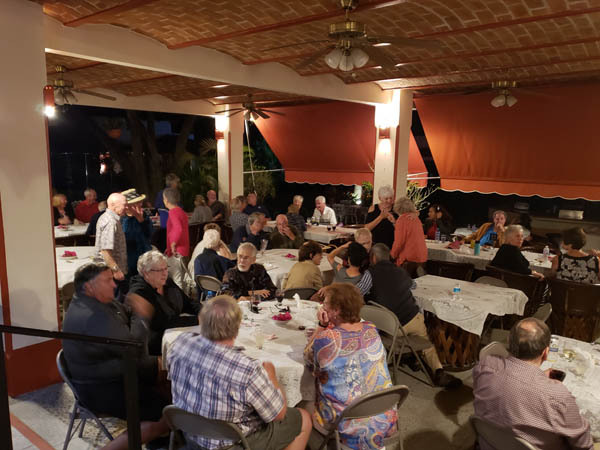 El Parque had a Welcome Back party for snow birds returning for another season of fun and sun. This party included a great meal and live music. 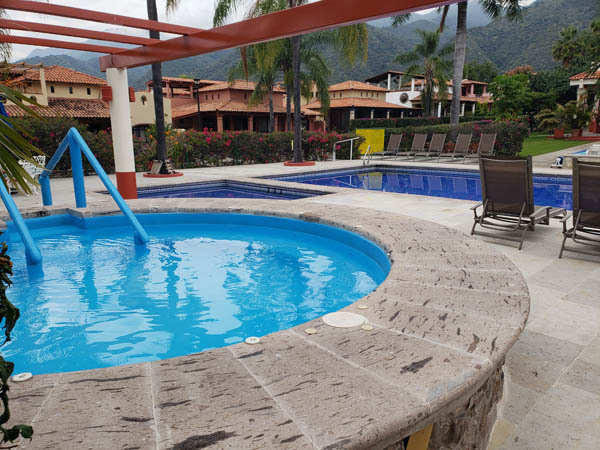 With extreme temperatures ranging between 40 to 90 degrees, Ajijic has two seasons--spring and summer. 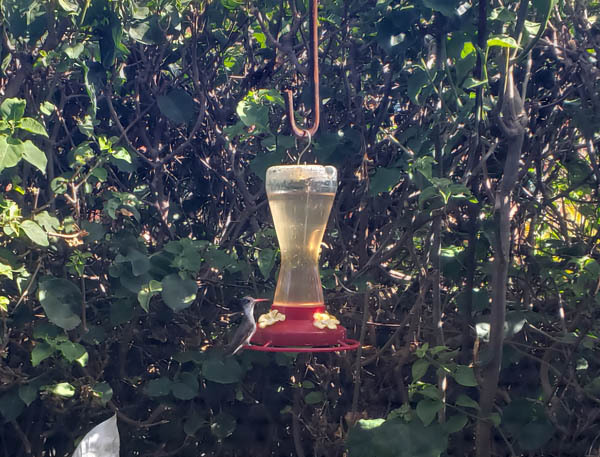 The humming birds love it and so do we. 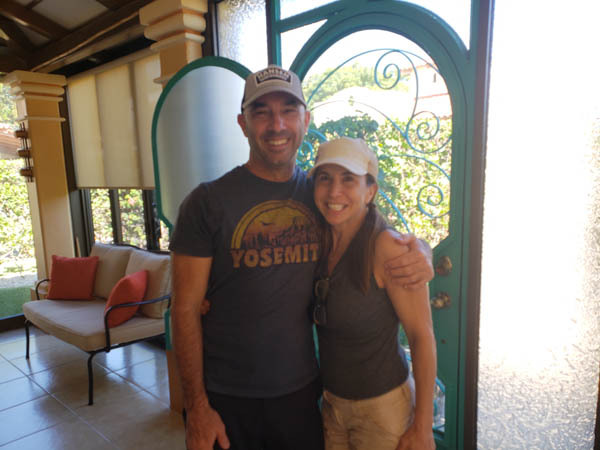 One Sunday we met this couple from San Francisco who were spending a few days checking out Ajijic as a possible future retirement destination. We gave them the grand tour of the village and our home. Maybe!? Thanksgiving is a special time to STOP and be grateful for all the things we have. 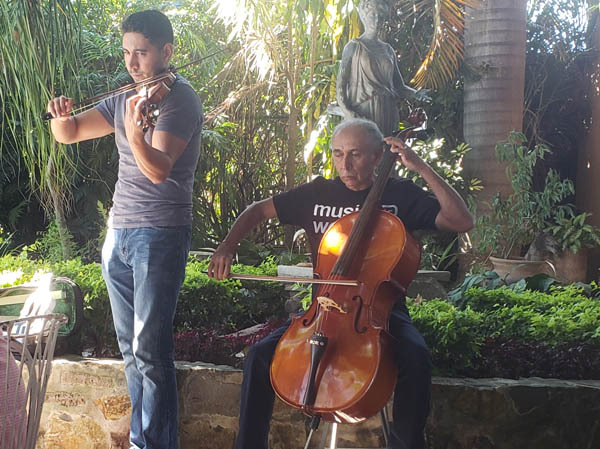 At a Thanksgiving dinner, we were entertained by this father and son duo playing soft music in the background. Thanksgiving Dinner with family and friends. Mexican restaurants know how to prepare the traditional Thanksgiving dinner--turkey, mashed potatoes, gravy, stuffing and dessert. Live theater continues to be one of our traditions here at lakeside. 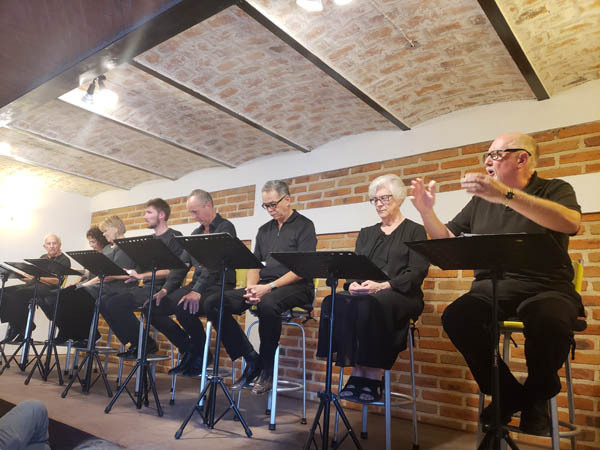 Here we are enjoying "She Stoops to Conquer" a play written in the late 1700s and performed at the Bare Stage. 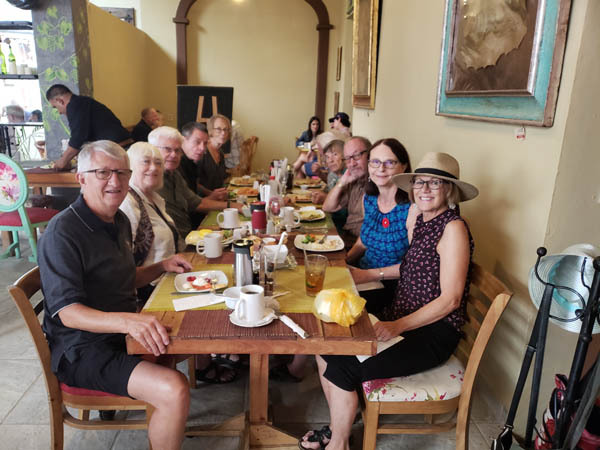 Following the play, we joined up with fellow theater goers for yet another wonderful meal and great conversation. Retirements can truly be HARD, HARD WORK! 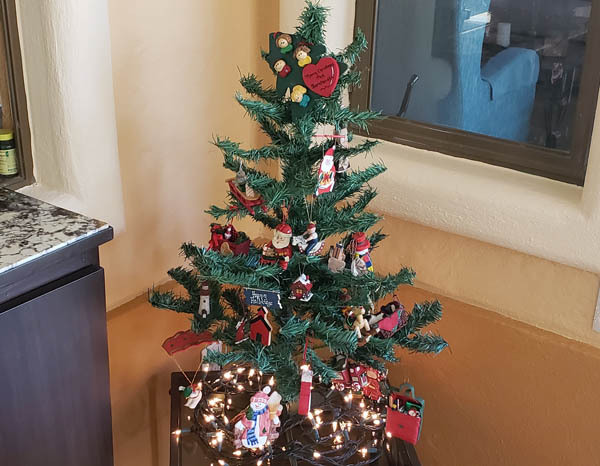 Christmas is around the corner, time to transform our home into the festive holiday season theme. So Glorine pulled out the decoration bin and now it is ready to enjoy. To all, a Merry Christmas--HO, HO, HO! !